Estelle Erasmus is an award-winning journalist, writing coach and former magazine editor-in-chief of five publications (Hachette’s Body by Jake, The American Breast Cancer Guide, Women in Touch and more) as well as a top editor at American Woman and a beauty editor at Woman’s World magazine, with a combined reach of over 10 million readers. She is a longtime member of the venerable American Society of Journalists and Authors and was the conference chair for ASJA’s 2017 Conference in NYC. She is also a member of the prestigious American Society of Magazine Editors. 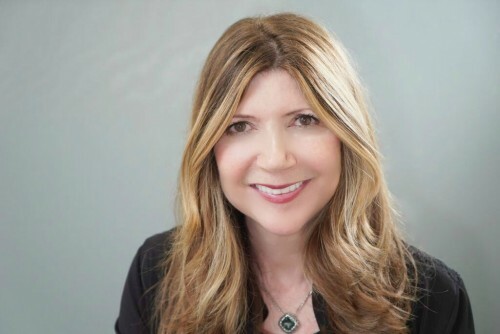 She recently launched the new podcast for ASJA, called ASJA Direct: Inside Intel on Getting Published and Paid Well, and will be the chair for ASJA’s 70th Anniversary Gala Celebration in NYC. She has been published on The New York Times, The Washington Post, Quartz, Third Age, Next Avenue/PBS, Vice, Vox, Salon, Psychology Today.com, Parenting.com, Newsweek, Redbook, Yahoo! The Freelancer, Beauty, Brain, Child, Your Teen, Role/Reboot, Purple Clover, Marie Claire, XOJane, Stir Journal, Working Mother, mamapedia.com, parenting.com, National Geographic Traveler, weightwatchers.com, The New York Daily News, projecteve.com, kveller.com, Elephant Journal, Erma Bombeck Writers’ Workshop and more. She is syndicated on The Huffington Post. She was named a top 10 Circle of Moms Winner for Best Family Blog by a Mom and wrote a popular syndicated “Mom’s Talk” column for AOL/Patch. She developed a two week intensive course on pitching for Writer’s Digest and also teaches an online course on personal essay writing there. She has been quoted and featured in hundreds of publications, including The Columbia Journalism Review, (CJR), The Washington Post, The Forward, Everyday Family, Yahoo, The New York Daily News, and The Observer. She was a judge for the Erma Bombeck humor writer contest, and the Scholastic Awards. Estelle is a co-author of a best-selling beauty book and a contributor to several popular anthologies, including The ASJA Guide to Freelance Writing (St. Martin’s Press), What Do Mothers Need? Motherhood Activists and Scholars Speak Out on Maternal Empowerment for the 21st Century (Demeter Press) and Mothering Through the Darkness, SheWrites Press, 2015, as well as Love Her, Love Her Not: The Hillary Paradox and How Does That Make You Feel? True Confessions on Therapy from Both Sides of the Couch. She was a winner of the Greyden Press 2013 Book Competition for a children’s story. Estelle is a 3-time BlogHer Voices of the Year, and an alumni of the inaugural New York City 2012 production of Listen to Your Mother. Estelle is an inspirational public speaker. She spoke at ASJA2017, Women in Communications Student Career Conference 2017, Writer’s Digest Conference 2017, ASJA2016, the 2016 Erma Bombeck Conference, BAM 2016 and at BlogHer2015, BlogU2015, and iRetreat2014, as well as at B.I.G., The Motherhood Initiative for Research and Community Involvement, and The Folio Publishing Conference. She was an adjunct professor at New York University (NYU), teaching a popular course on “Writing Health and Beauty for Magazines”. Estelle’ s website (EstelleSErasmus.com) focuses on advice about writing and publishing, plus editor interviews. She is triple verified on Facebook, Twitter and Instagram. If you’d like to hire Estelle for her writing and editing and pitching services.